Your contribution will help us promote and defend accurate and effective science education, particularly on the topics of climate change and evolution. We challenge threats to science education across the country; support teachers; and offer fun, hands-on science activities. Your gift today will ensure people have opportunities to engage with the evidence, and give the citizens of tomorrow the tools they need to take action. To see our current gifts for donations, click here. 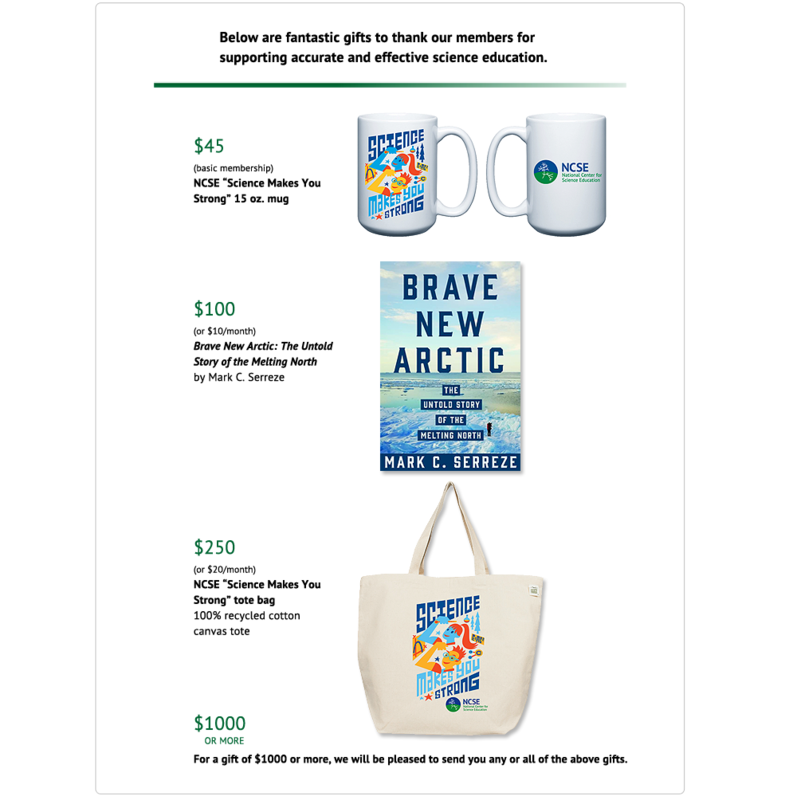 With a contribution of $45 or more, you receive a year’s membership to NCSE, including a subscription to our quarterly publication, Reports of the NCSE, and a membership gift of your choice. Other Amount: $ Please use numbers only. Please do not mail me the print version of Reports of the NCSE. Comments, Questions, Concerns? You can e-mail us at info@ncse.com.